Saturday night is race night at the fantastic inner-city oval of Birmingham Wheels Raceway, one of the best tracks for short oval action in the UK. Situated just one mile from the very centre of Britain’s second city, Wheels has been staging racing on nearly every summer Saturday night since the mid-1980s and is one of the last true inner-city venues in the country. 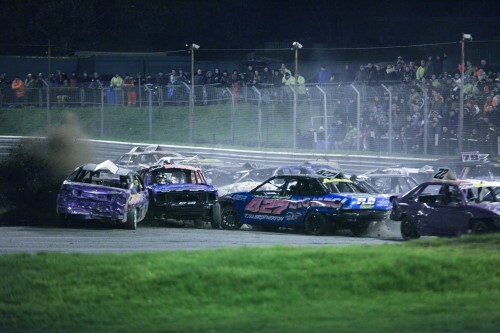 With its wide turns and long, fast straights the track is widely regarded as one of the finest for Banger and Stock Car action around today, and every meeting features a buzzing and friendly atmosphere no matter what the formulas. The highlights of the season include the annual Champion of Champions for Unlimited National Bangers every November plus regular visits by the National Hot Rods and BriSCA F1 Stock Cars. The Wheels is also home to the popular and entertaining I Factor Fast & Furious series, whose meetings regularly feature over 20 races in one evening. 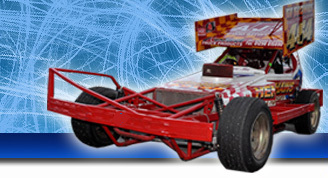 Birmingham Wheels Raceway is located just off Landor Street in the Bordesley Green area close to Birmingham City FC, and is easily accessible from the M6 and A38. Duddeston and Adderley Park railway stations are also close by. The track features terracing with great viewing on the home straight and both turns, plus catering facilities and various other trade stands. Testing & Tuning Sessions are available on most Wednesday evenings March to November - 6.30pm - 9.30pm.